Geometry reigns as structure and design combine in captivating form. As an admitted fanatic of geometric designs, my bias toward the new ‘Infinity Collection’ by Sarawagi Rugs is self-evident. Designed by textile designer Else Bozec over the course of a months long residency in Kathmandu, Nepal during 2017 C.E. the collection reminds design need not push the technical limits of technique, but rather can excel by masterfully utilizing those limits – in this case the regimented structure of handknotting – to synergistically reïnforce and amplify the design. The varied visual and tactile textures embody the same lively visage of urban façades, with each region inviting new though and contemplation to almost ask – as one would of said façades – ‘What’s going on (in) here?’ I don’t know, but I am captivated while I try and figure it out. 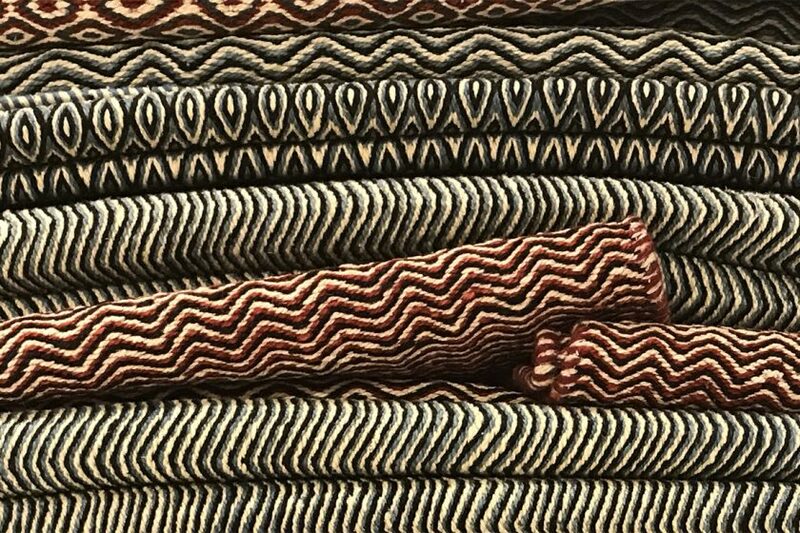 Just the most iconic representation of a rug or carpet merchant I can imagine: a simple pile of rugs, this one from Edelgrund. In actuality though it is hardly simple and it represents uncounted manhours of labour; a pile, or stack, of rugs hides so much, only teasing at the beauty within. Perhaps instead of passing quick judgement or critiquing without contemplative thought consider looking deeper in order to reveal more of the details. 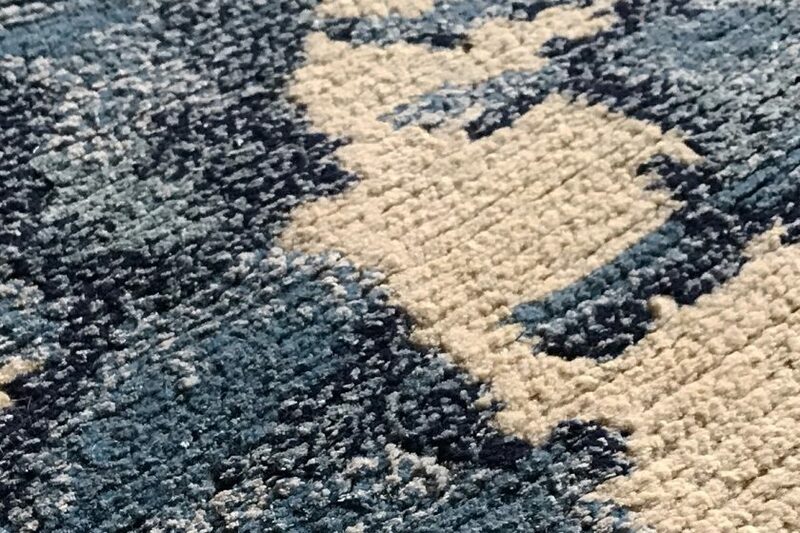 Rugs and carpets aren’t mere embellishments for the floor, they also serve as allegory for many of our worldly problems. Enjoy the week my friends! What are you doing? A revival of the time honoured Tibetan weaving technique, Wangden. In an age of limitless custom handmade rug and carpet options, why does the instinctive question, ‘What is new?’ persist in our lexicon? Moreover, why are we so inarticulate? 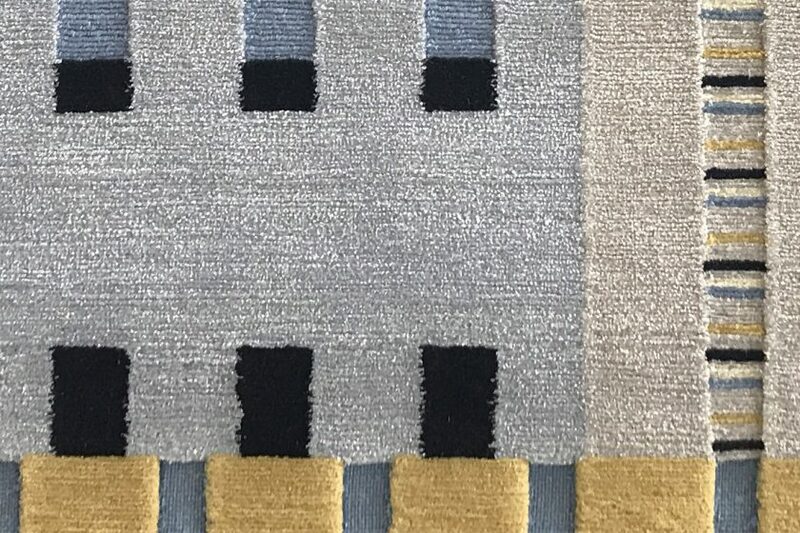 We ask for new, when what we really want is something beautiful and eye catching and well made; the ‘newness’ of wares in the handmade rug industry being a somewhat laughable concept in itself. 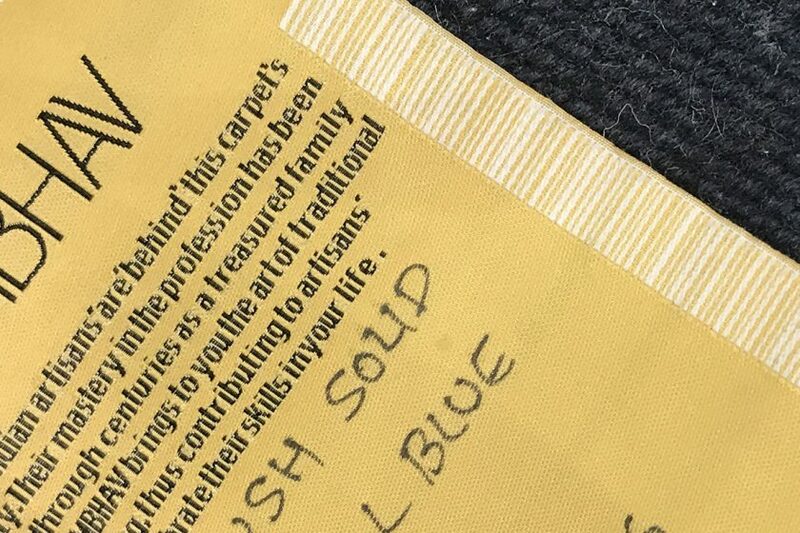 So while this carpet is newly made, the technique is actually quite time honoured dating to long before the annexation of Tibet by China and the subsequent growth of carpet production in Nepal. It is a Wangden carpet and it is distinctive because of its warp-faced back, supple hand and handle, and in the case of this piece, luxuriously plush pile. 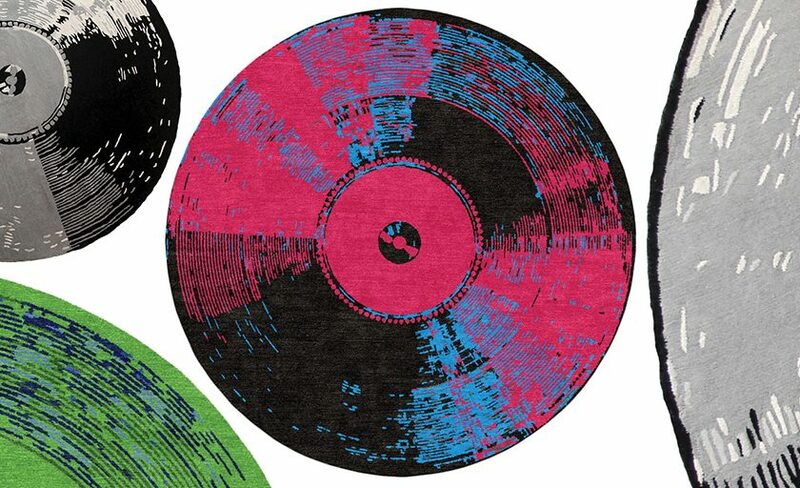 Warholian Kush explores a vinyl renaissance of sorts as the iconic LP becomes inspiration for rug.